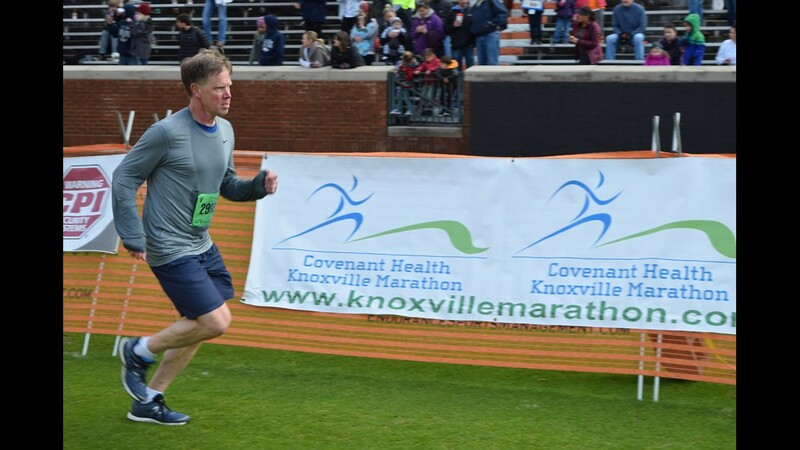 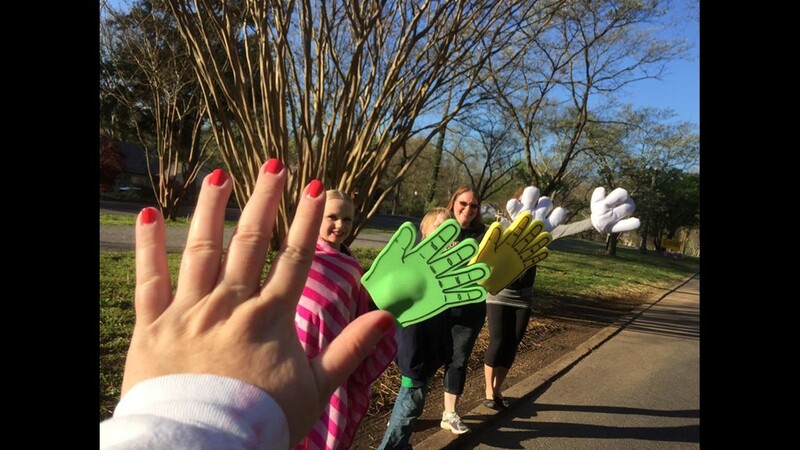 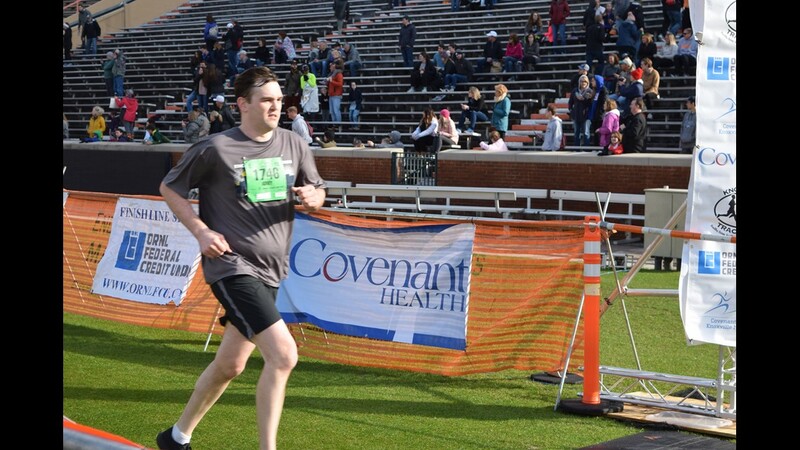 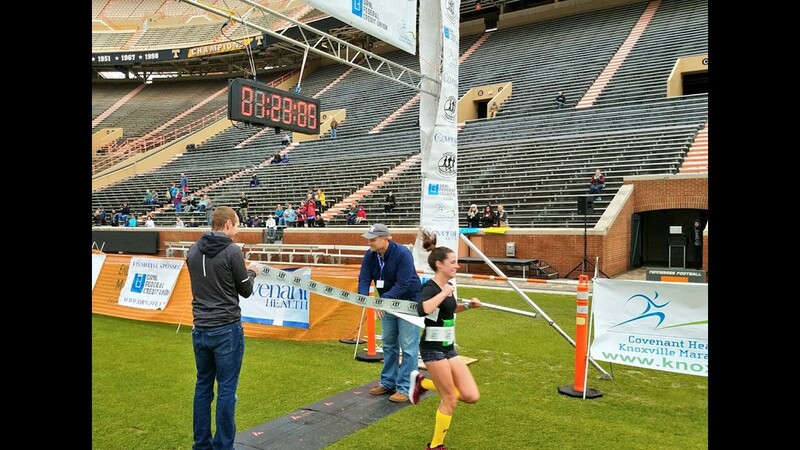 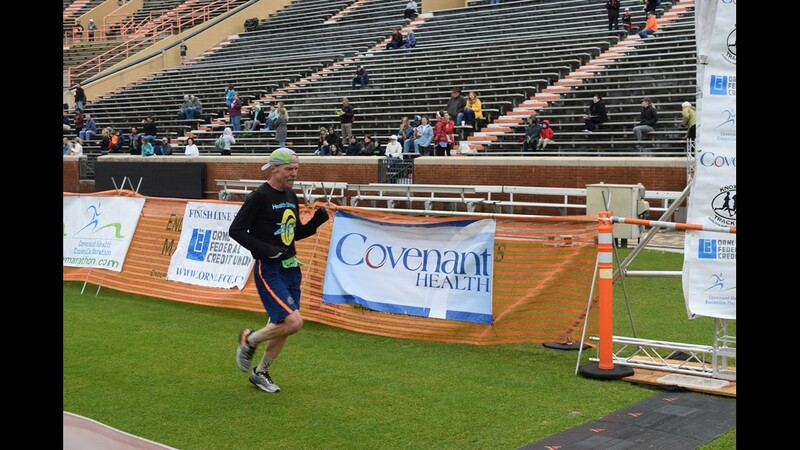 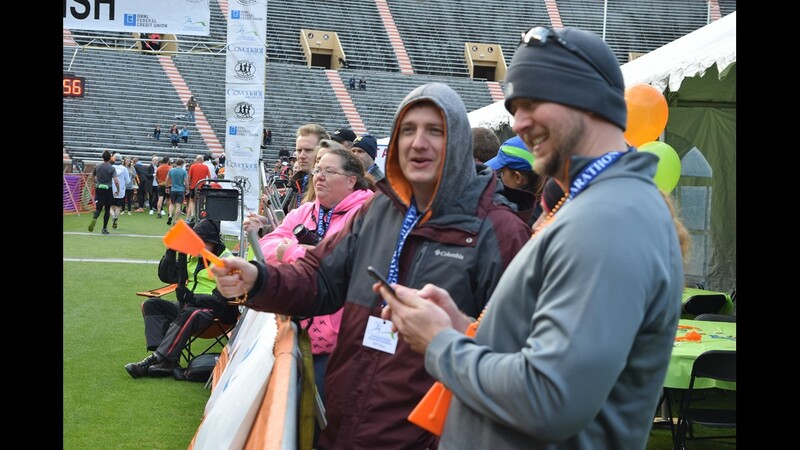 Now is the time to register and start training for the 2019 Covenant Health Knoxville Marathon! 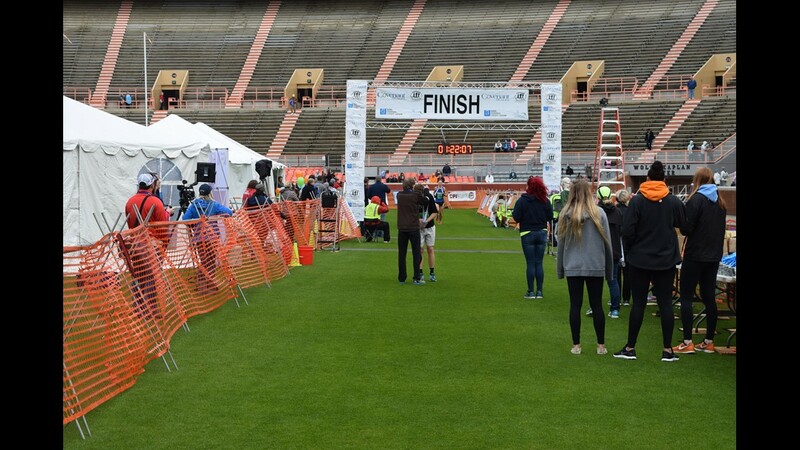 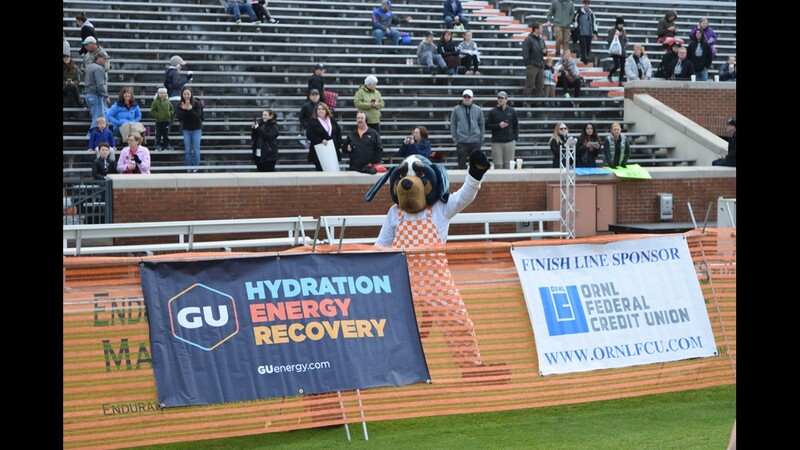 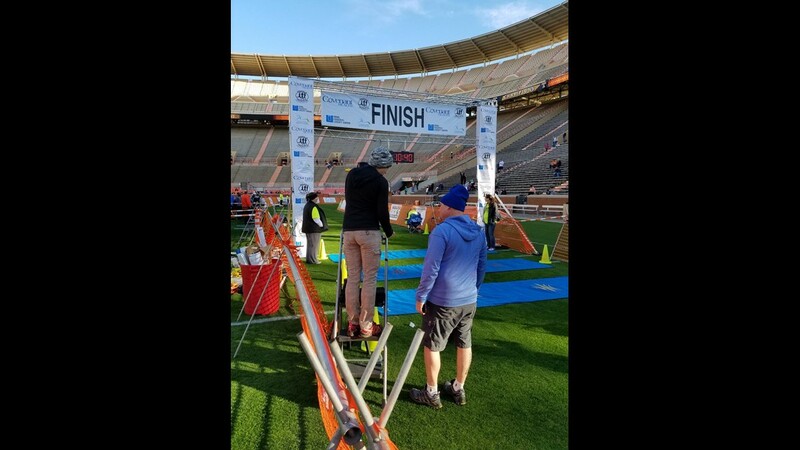 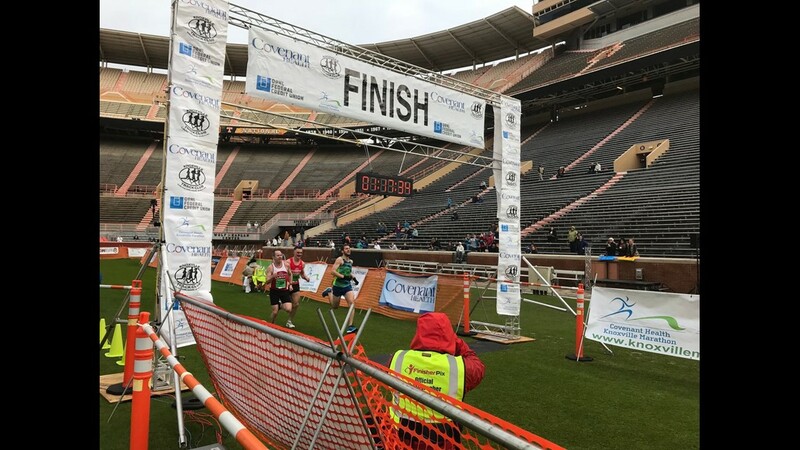 Runners can now take a look at the route for the 2019 Covenant Health Knoxville Marathon--- with a brand new finish line. 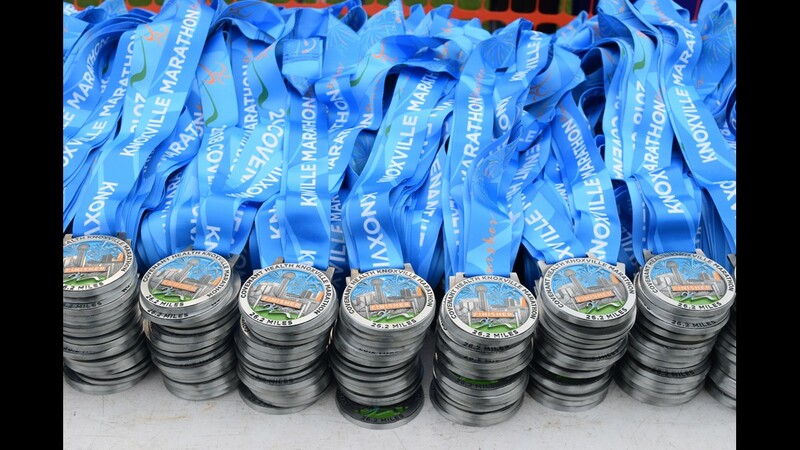 Marathon weekends is set for March 30-31, with the 5K and Covenant Kids Run on Saturday and the marathon and half-marathon on Sunday. 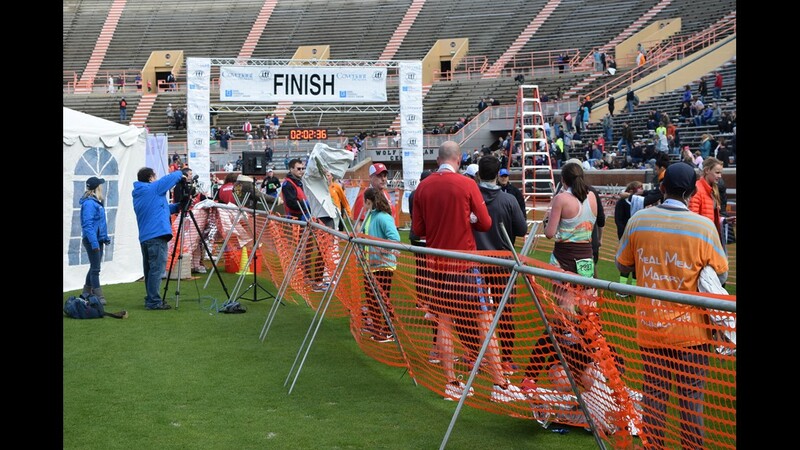 This year, the race will start and finish in World's Fair Park. 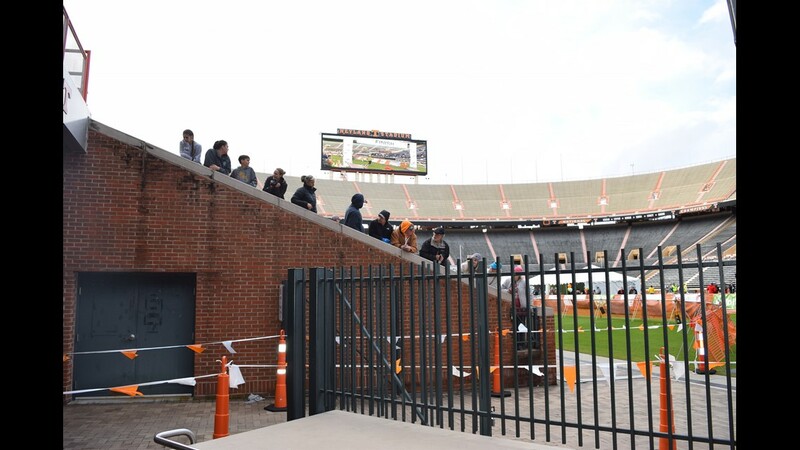 It previously finished on the 50-yard line of Neyland Stadium, but that changed this year because UT was expecting Neyland Stadium to be in the midst of renovations, though that has since been postponed. 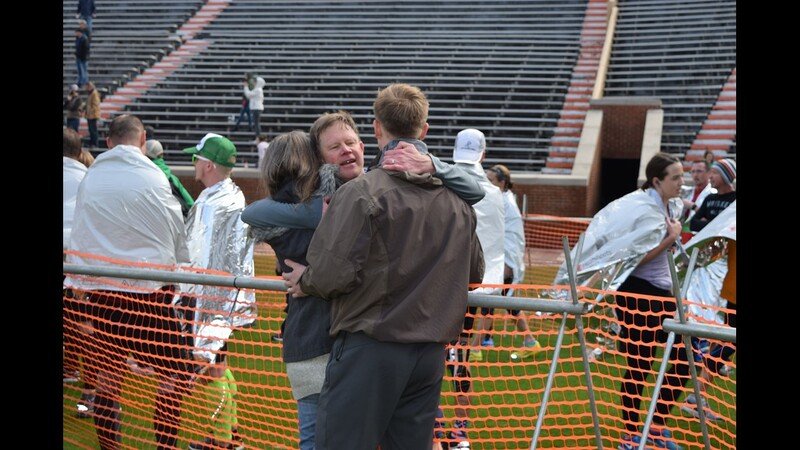 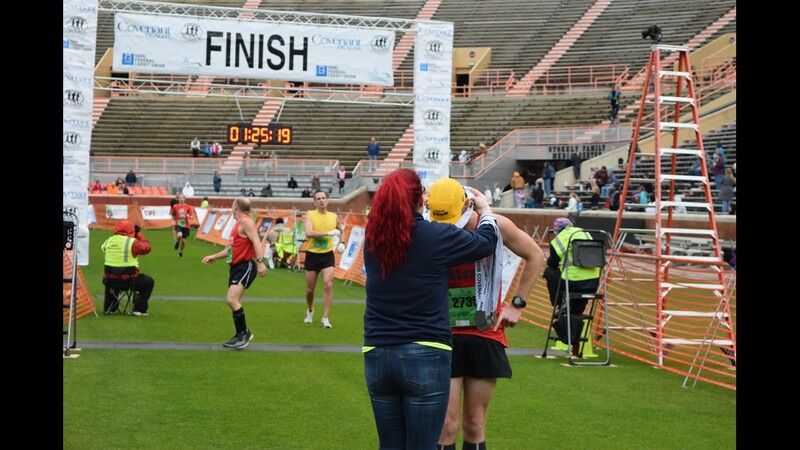 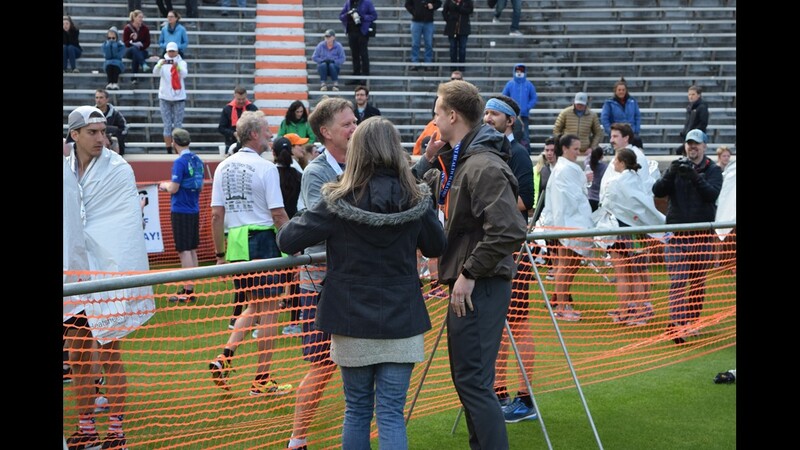 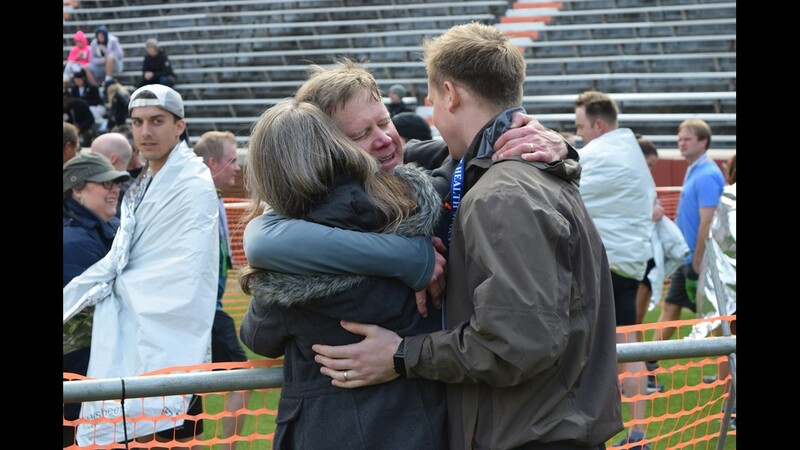 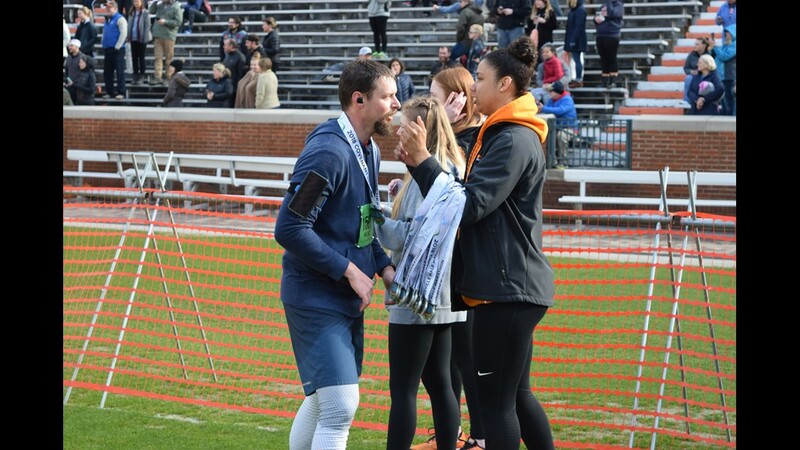 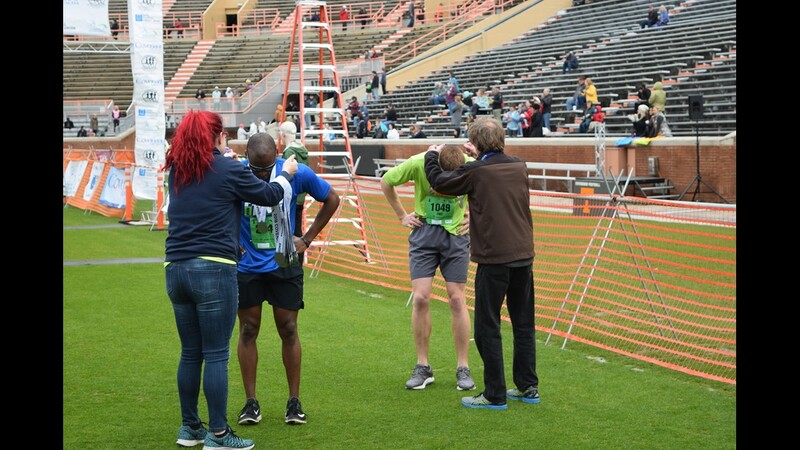 WBIR Meteorologist Todd Howell embraces his wife and son after crossing the finish line of the Covenant Health Knoxville Marathon. 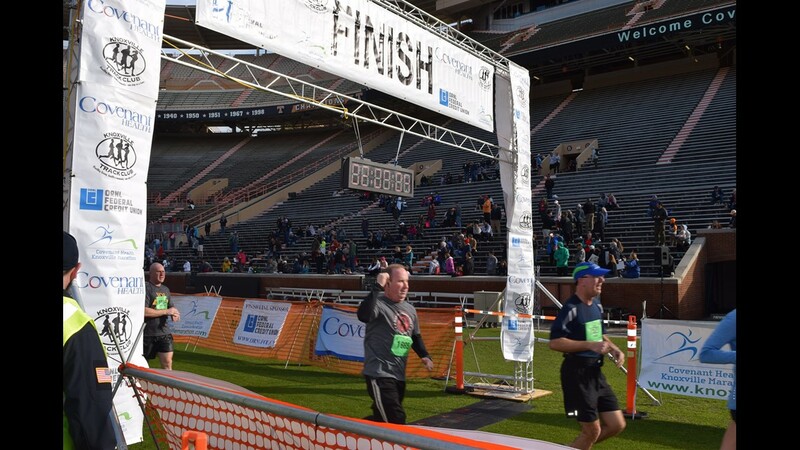 Todd competed in the 1/2 marathon on Sunday. 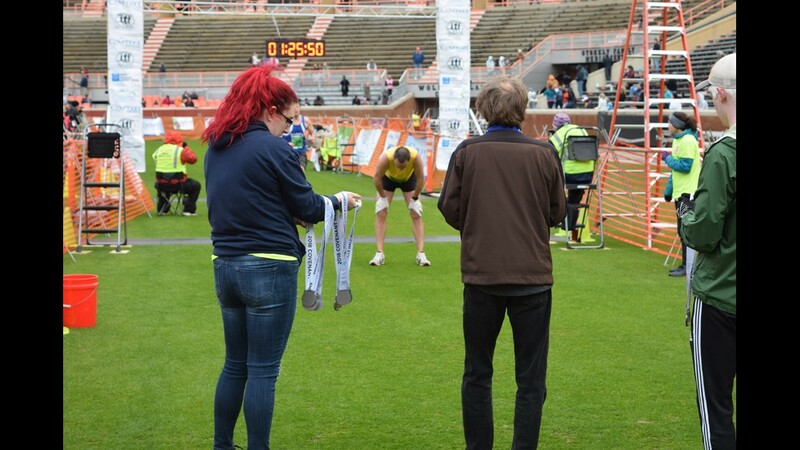 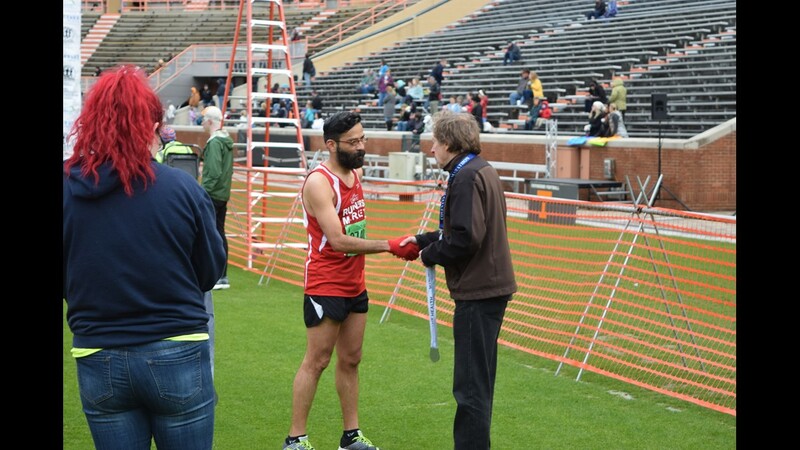 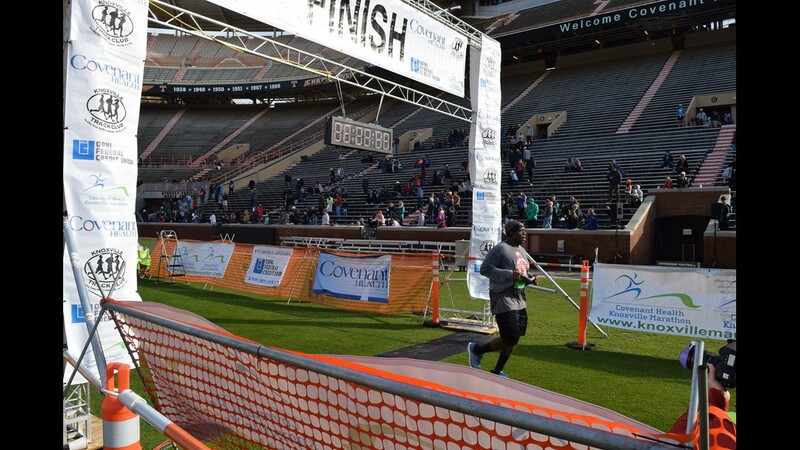 At the finish line of the Covenant Health Knoxville Marathon. 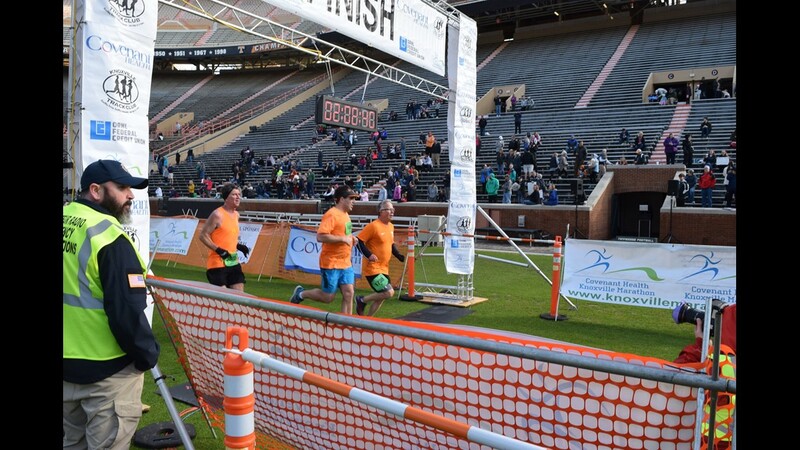 A few half marathon runners cross the finish line. 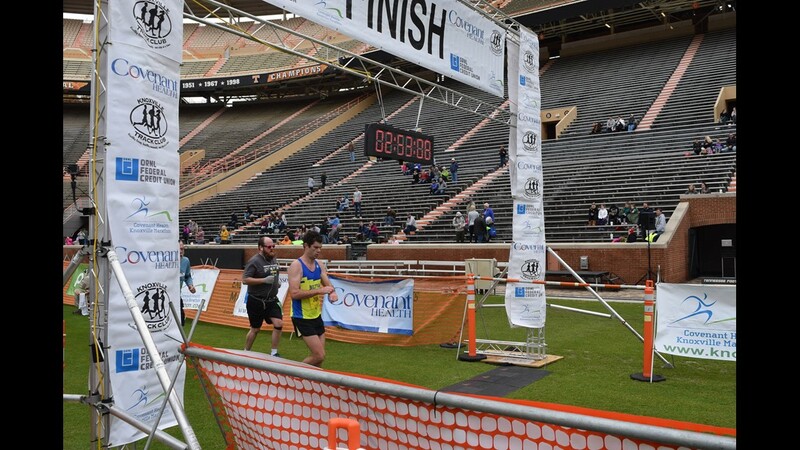 The marathon, which was recently named best marathon in Tennessee by “Runner’s Goal,” may be four months away, but now is the time to register and start training! 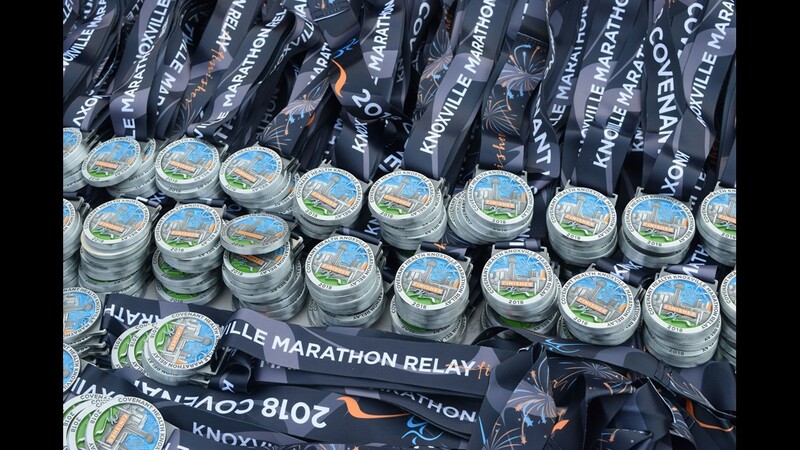 The price to register will increase right before midnight on Friday, Nov. 30. 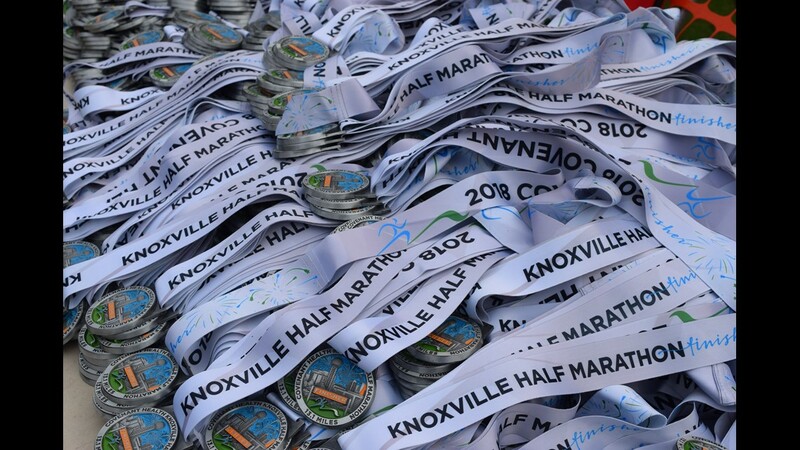 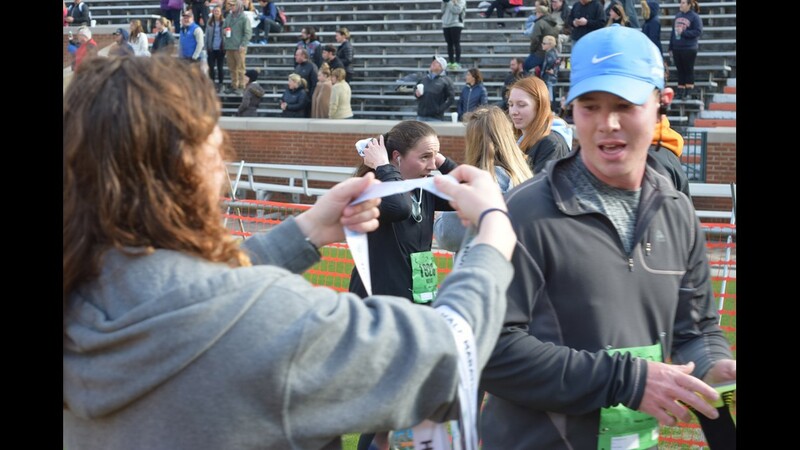 Current registration fees include $75 for the full marathon; $60 for the half-marathon and two-person relay; $45 for the four-person relay; $35 for the 5K; and $20 for the Covenant Kids Run. Participants can save up to $10 on each event by registering before Dec. 1. 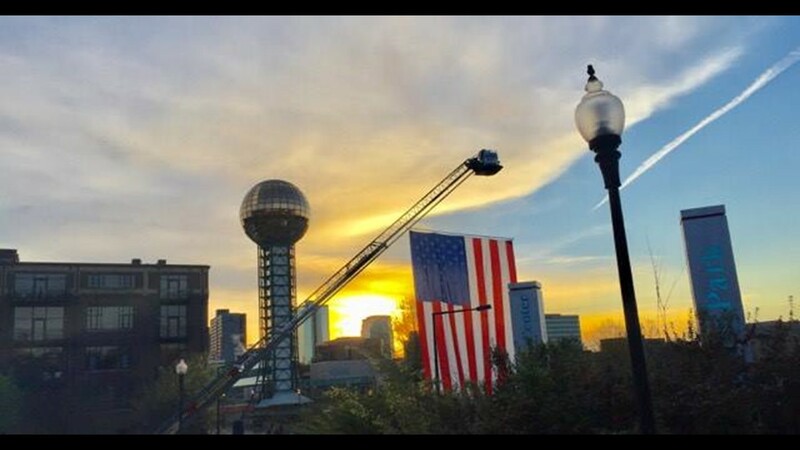 Check out this gorgeous photo sent to us by Nathan Robinette! 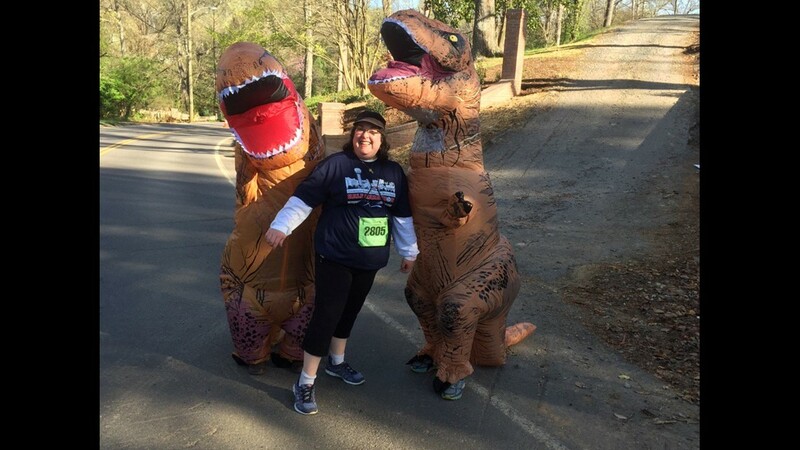 It was a great morning for a marathon! 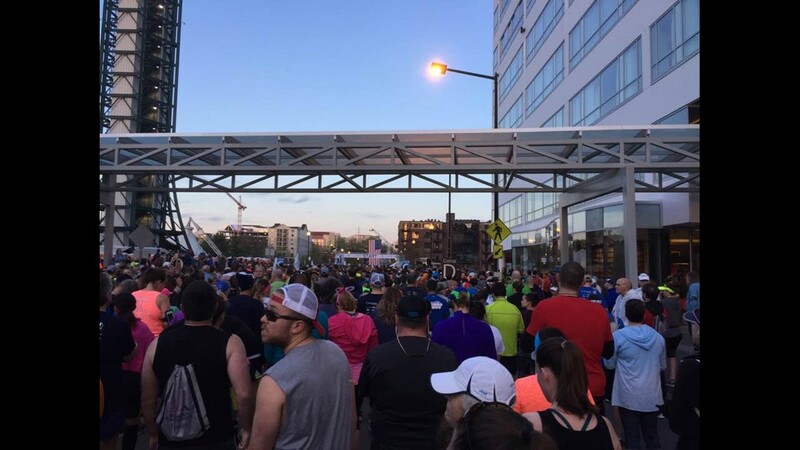 Runners are up early and ready to go! 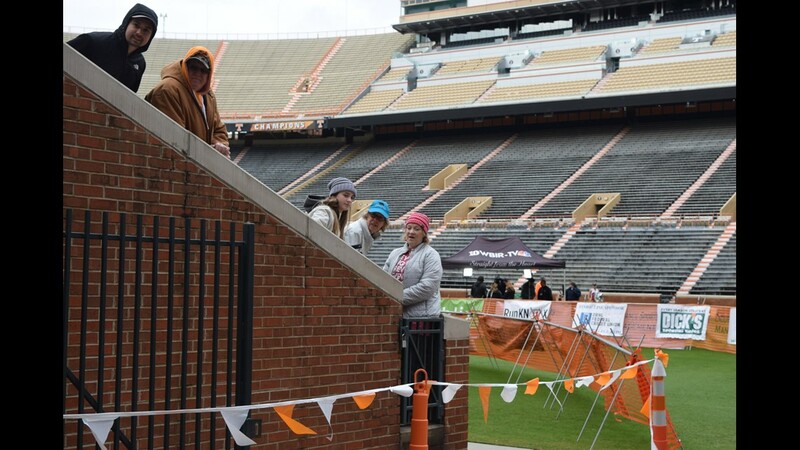 Let's hear it for the awesome spectators! 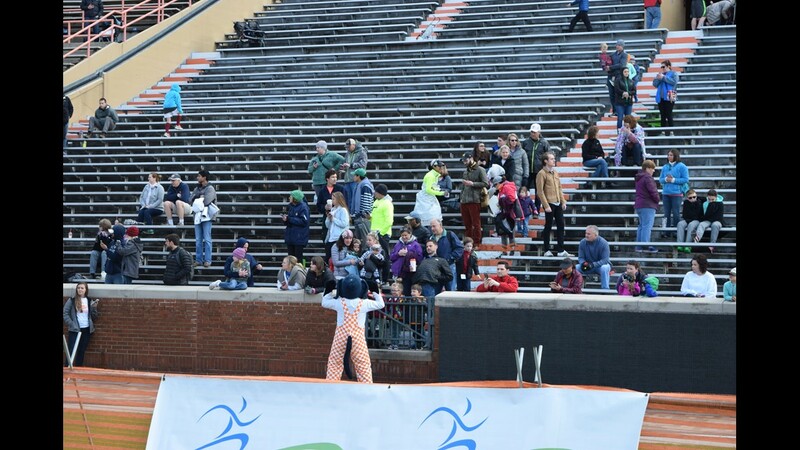 Thanks to the awesome cheering sections all along race course! 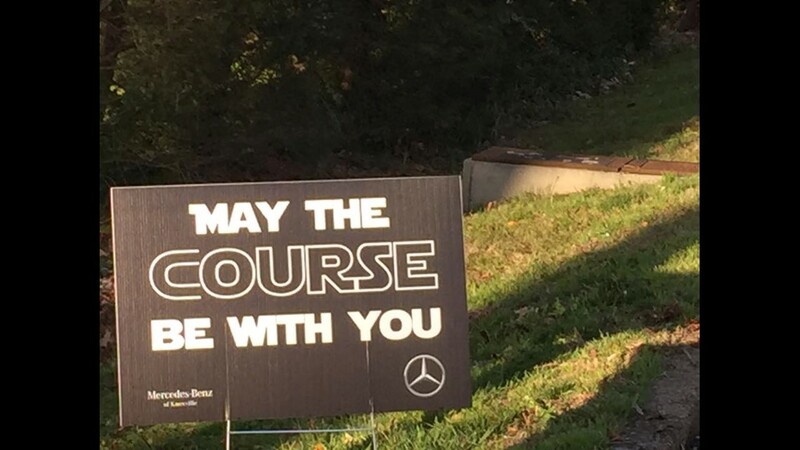 Check out this Star Wars reference! 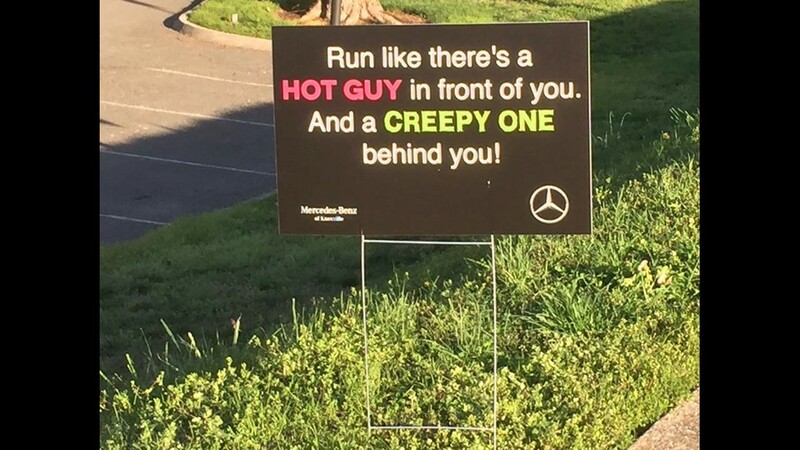 Mercedes-Benz is giving runners a little encouragement! 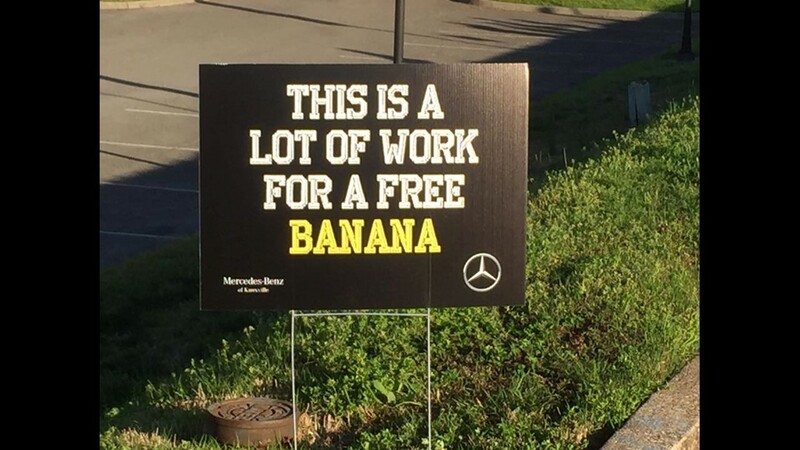 Mercedes-Benz is trying to keep runners entertained. 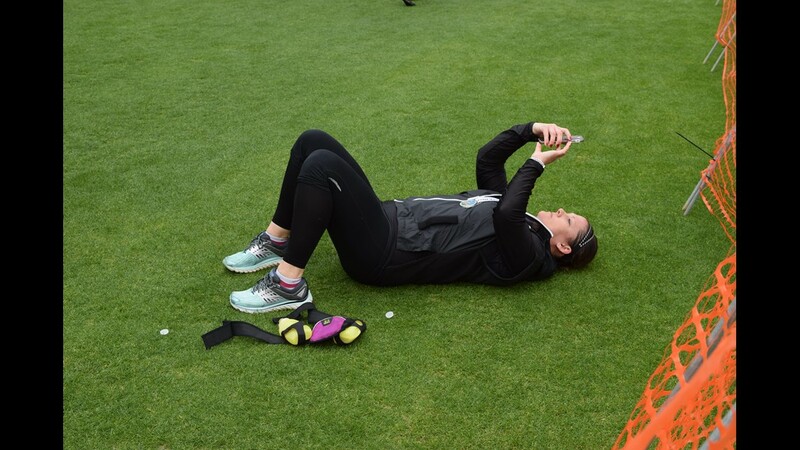 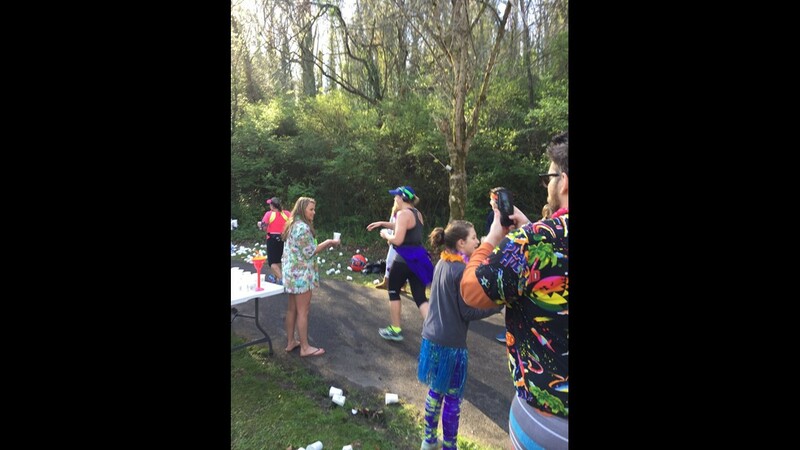 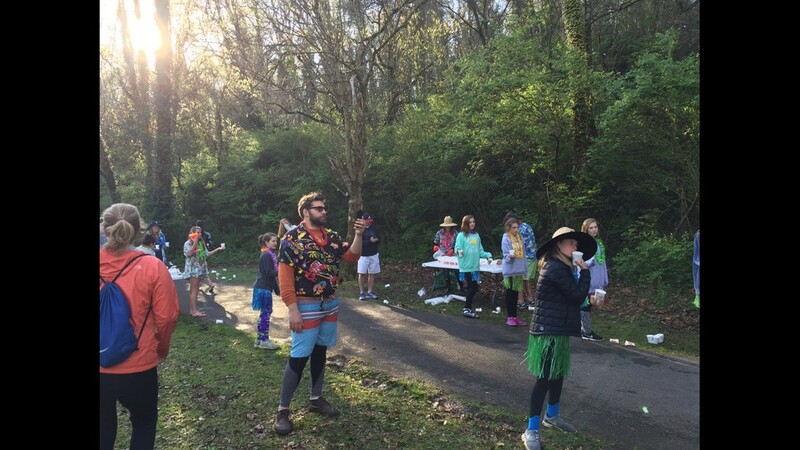 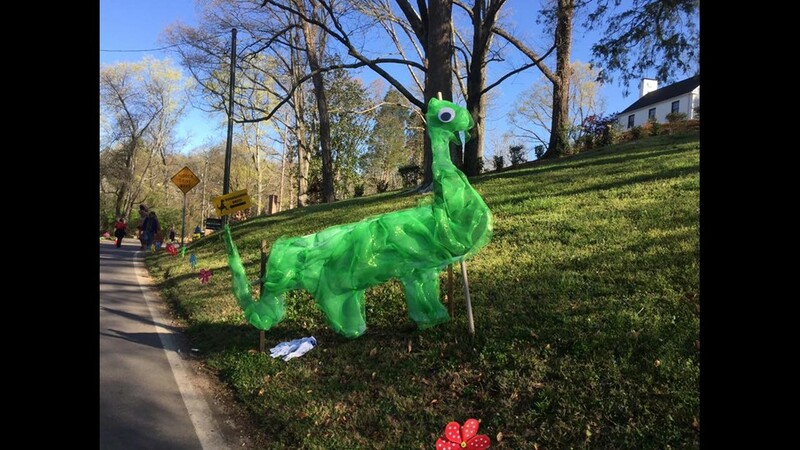 You never know what you'll find on the course of the marathon! 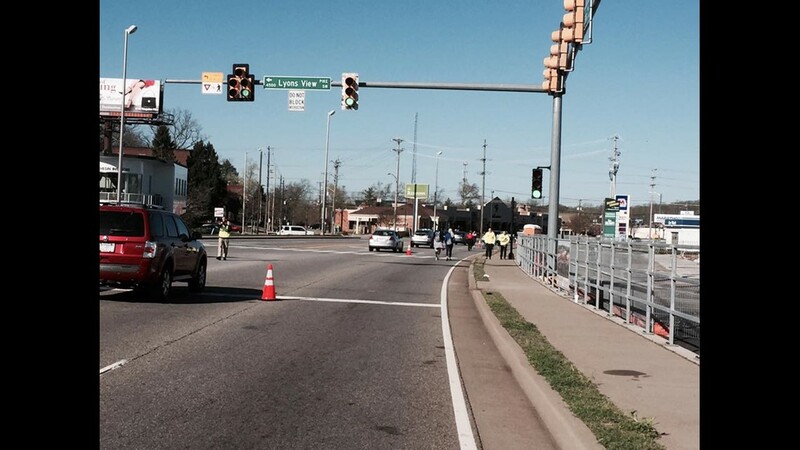 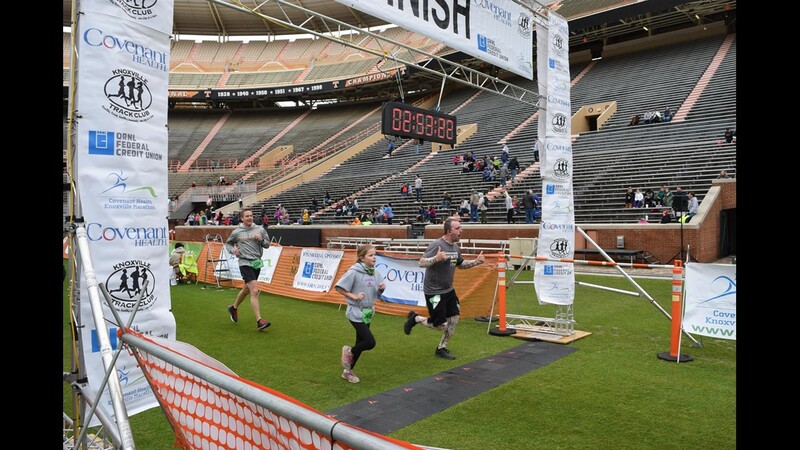 Runners make their way down Kingston Pike. 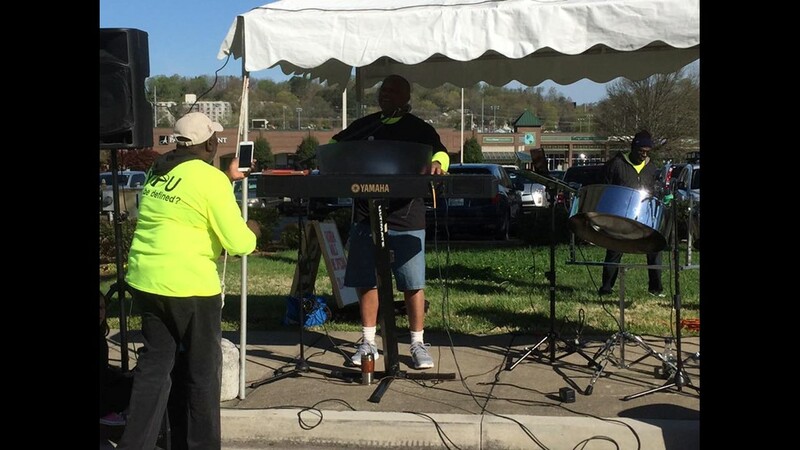 A band plays for the runners along Kingston Pike. 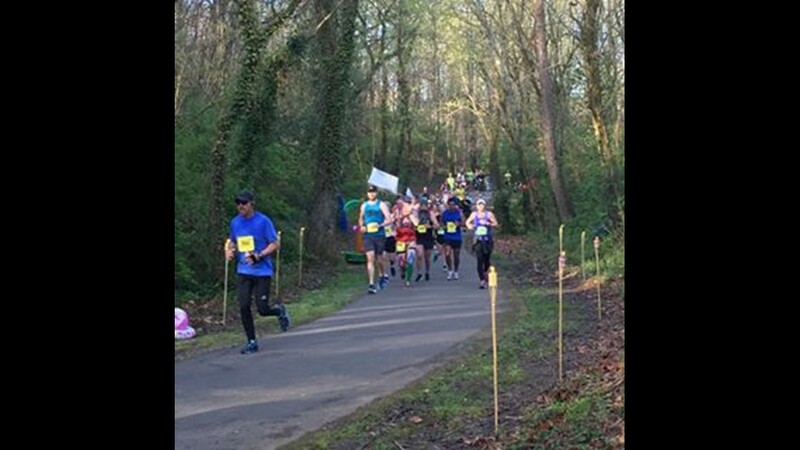 Runners make their way through mile 9 of the course. 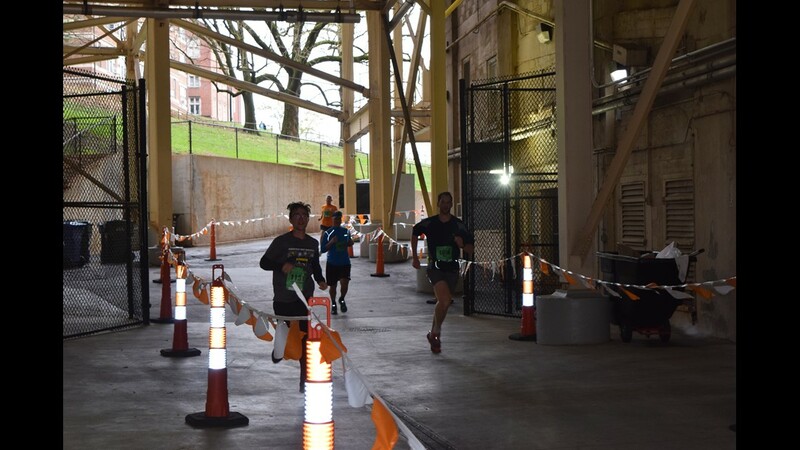 Runners stop to get some water as they continue to Neyland Stadium. 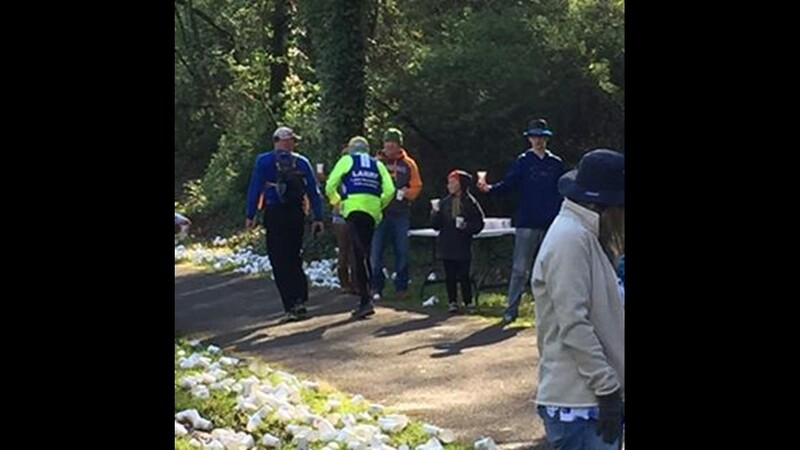 10News reporter Becca Habbeger checks in at the water stop at mile 9. 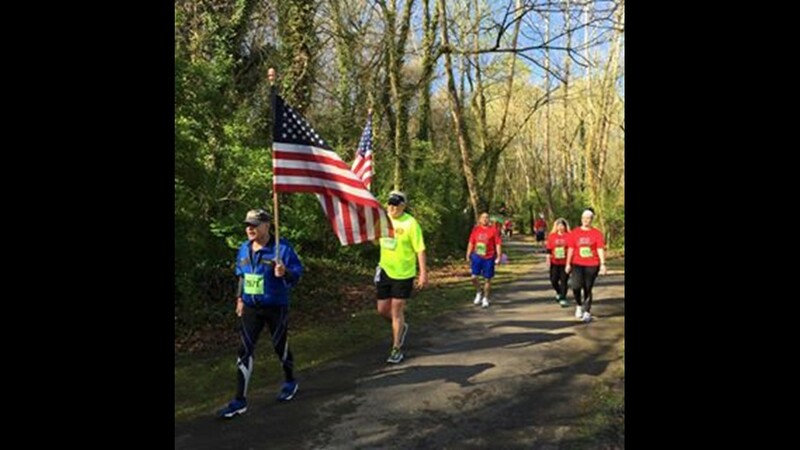 Runners carry American flags during the marathon. 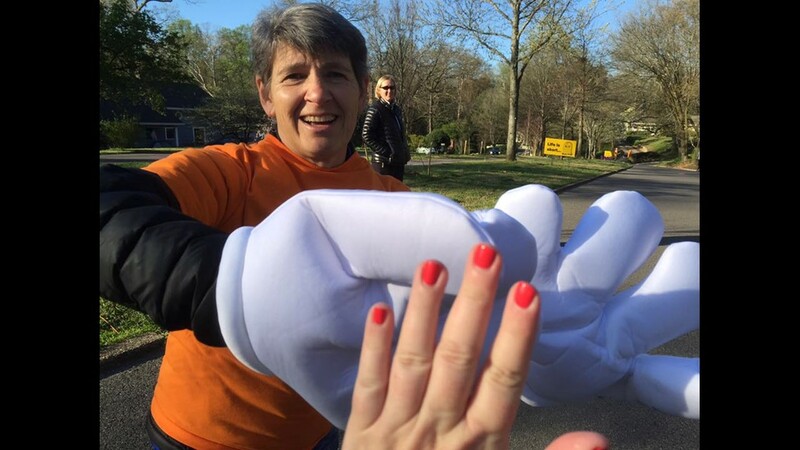 Volunteers hand out water to the runners. 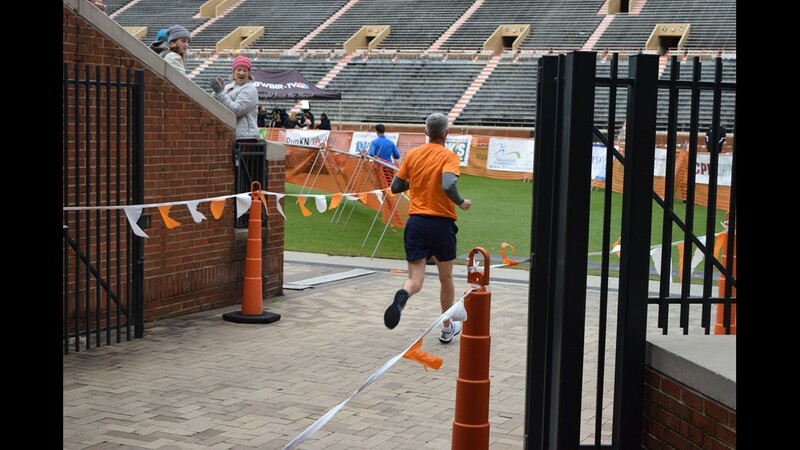 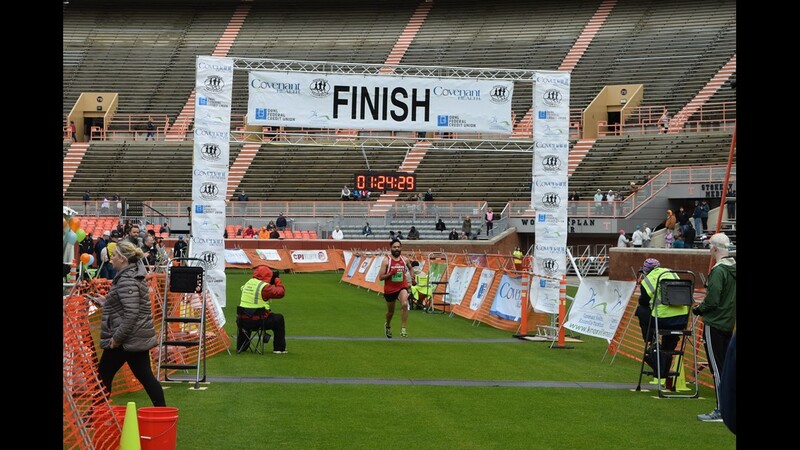 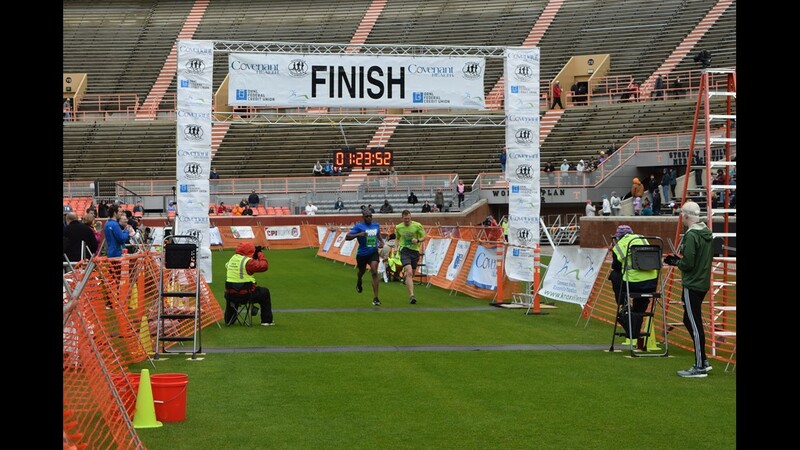 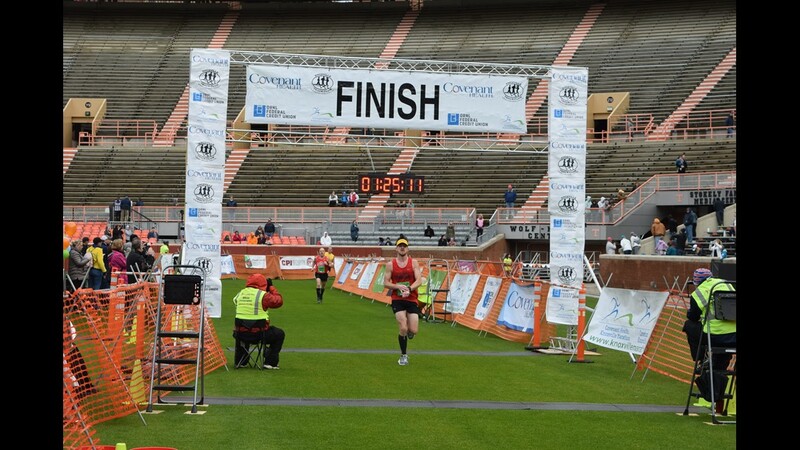 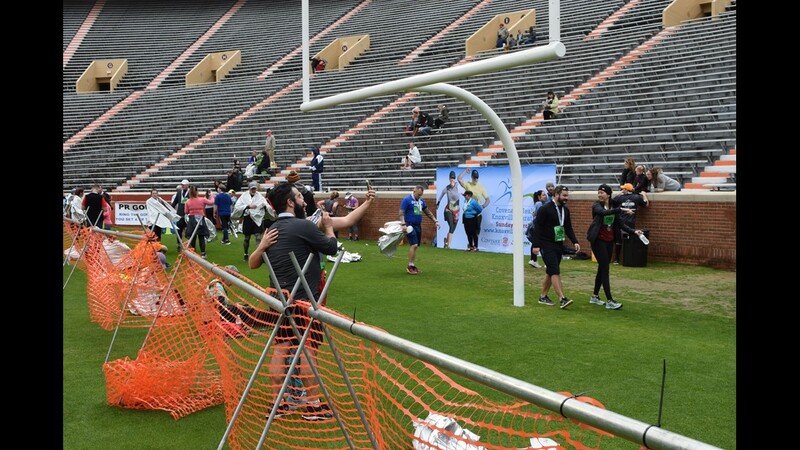 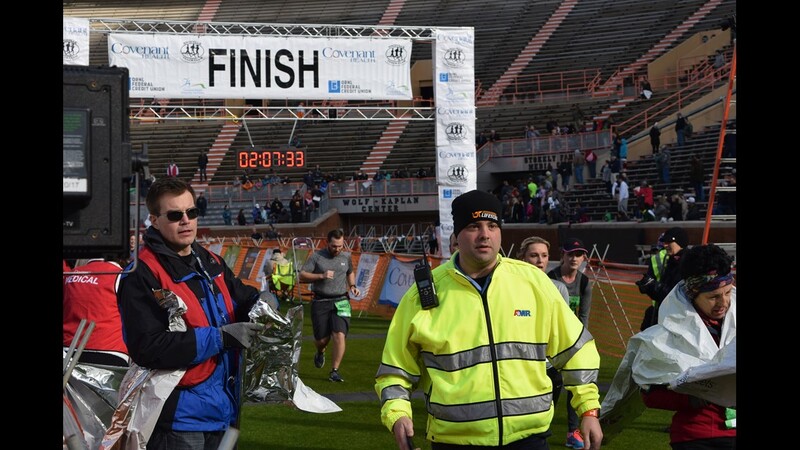 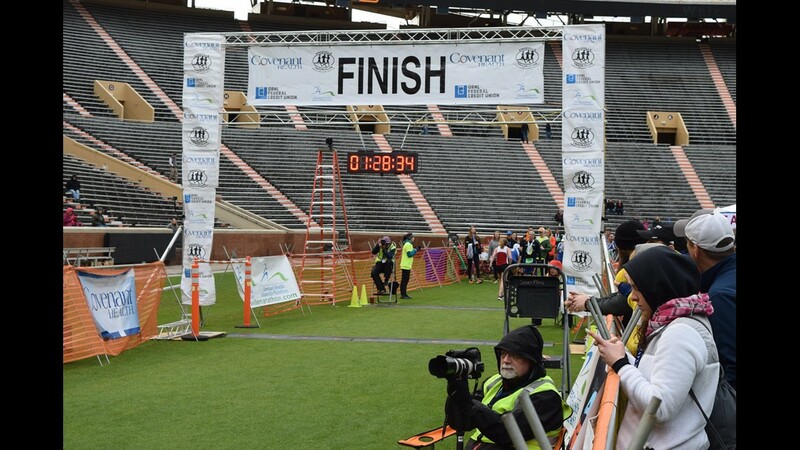 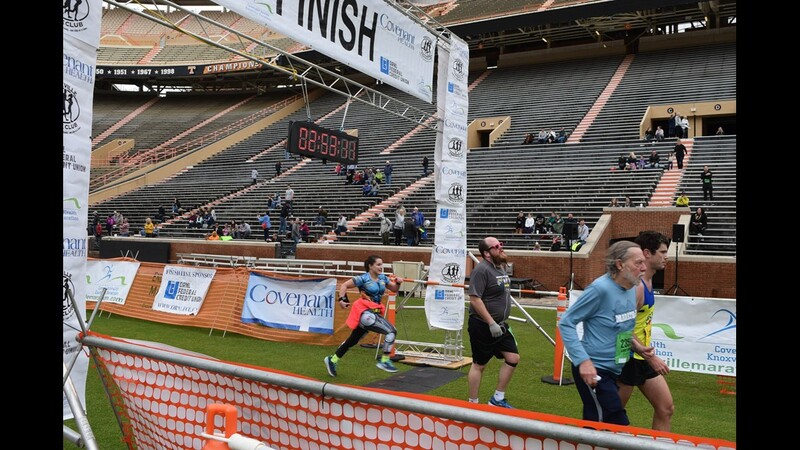 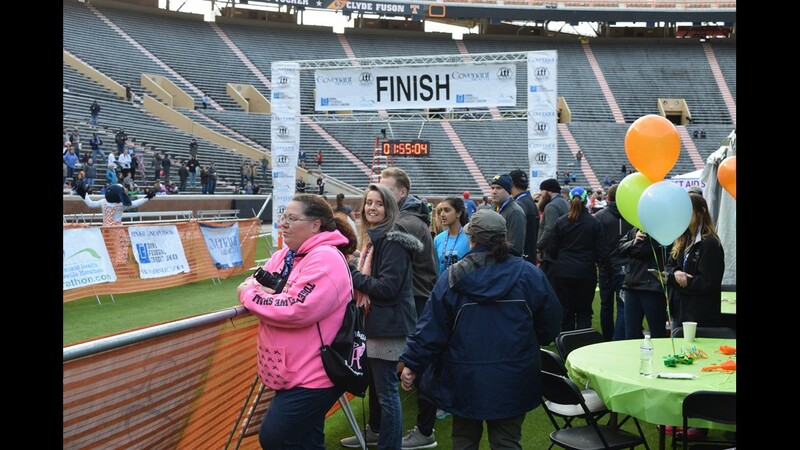 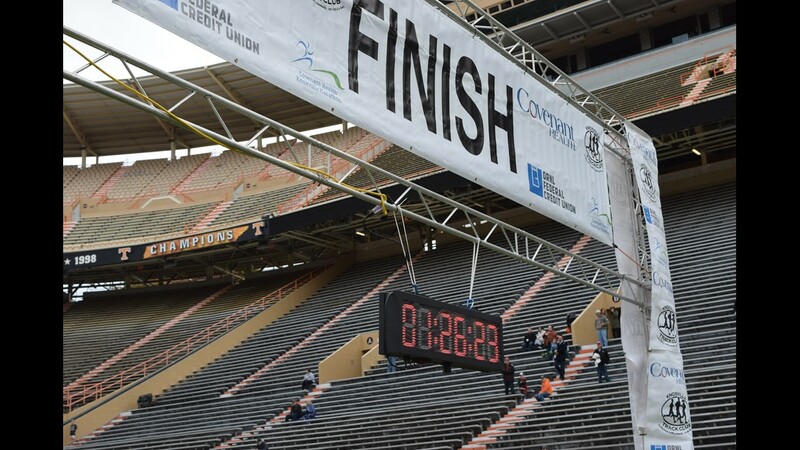 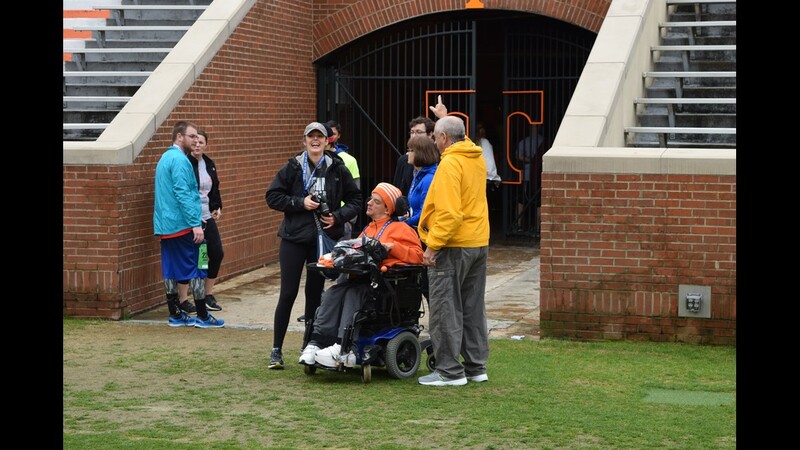 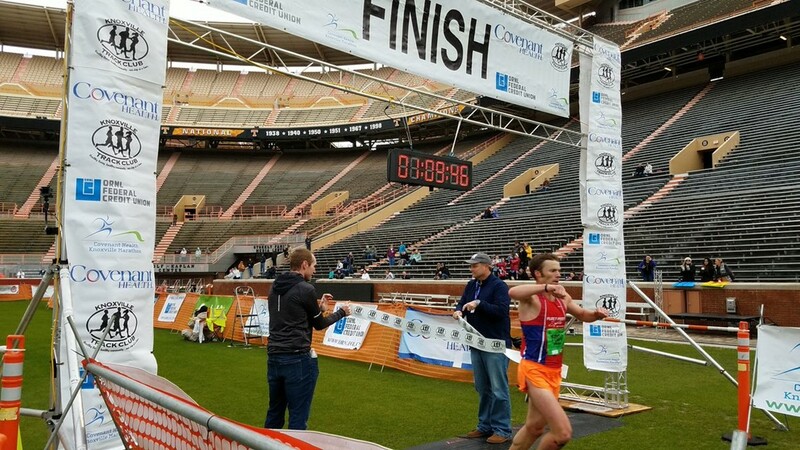 Runners cross the finish line at Neyland Stadium. 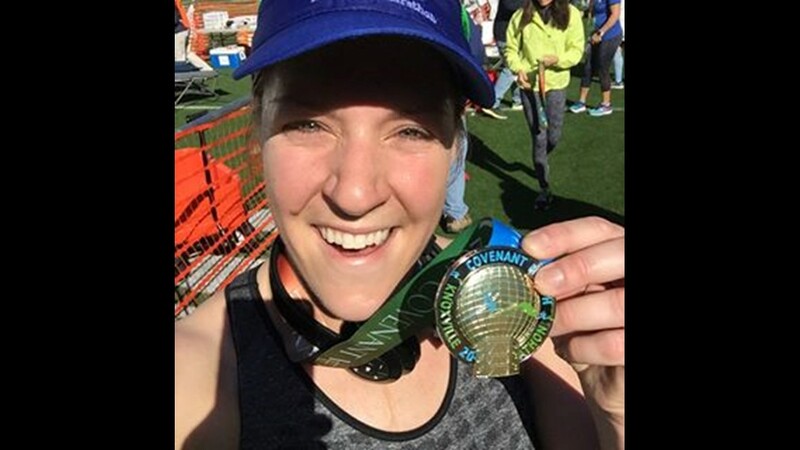 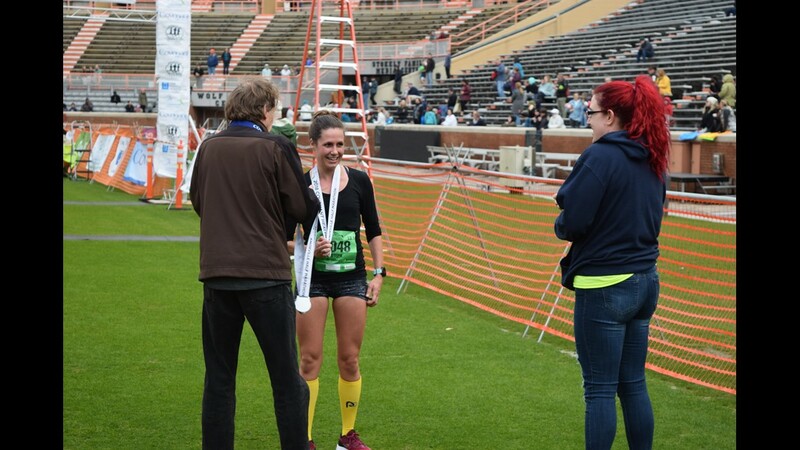 10News Reporter Becca Habegger finishes the half marathon! 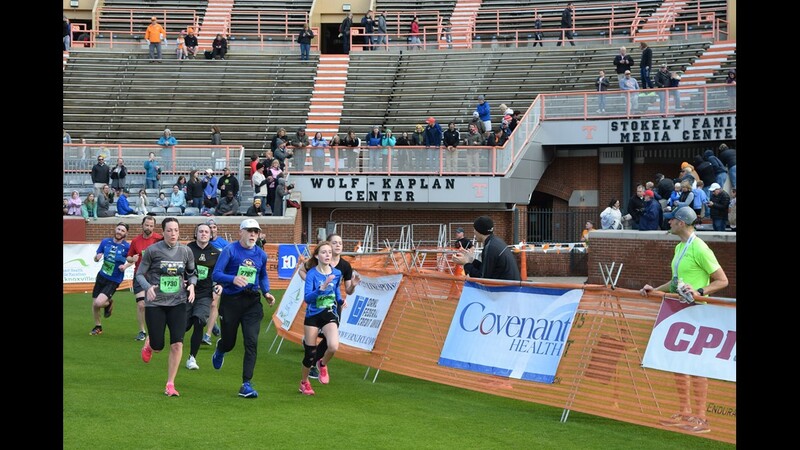 Group training runs begin Saturday, Dec. 1. 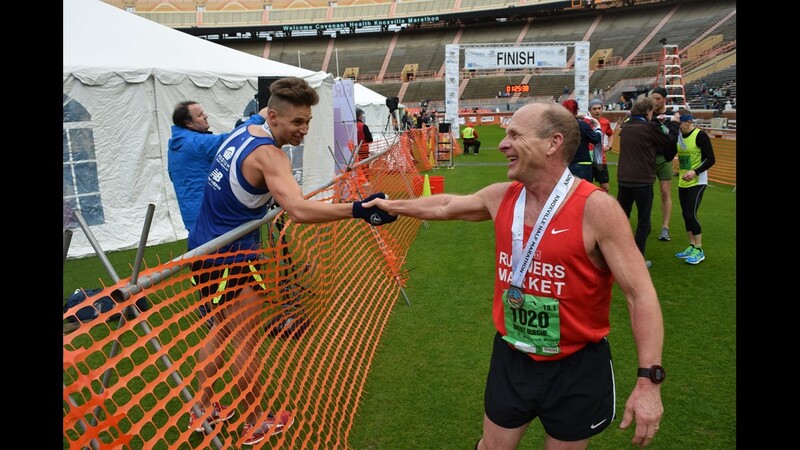 Runners meet every Saturday at 8 a.m. at Eddie’s Health Shoppe at 8025 Kingston Pike in Knoxville. 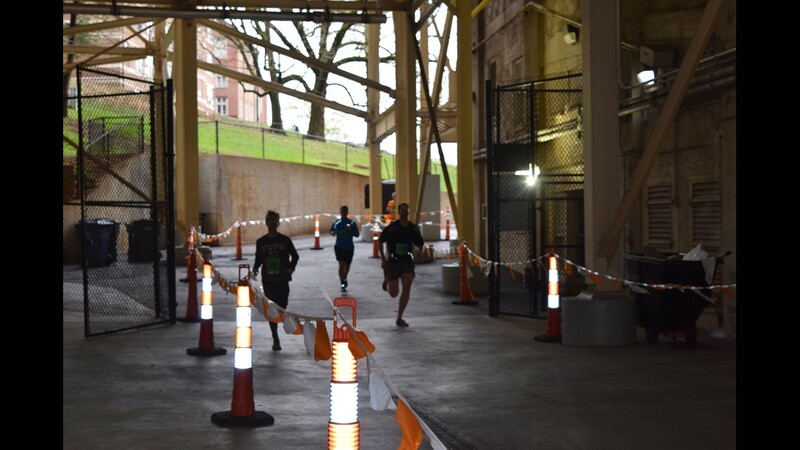 Weekly group runs are free, open to the public and require no preregistration. 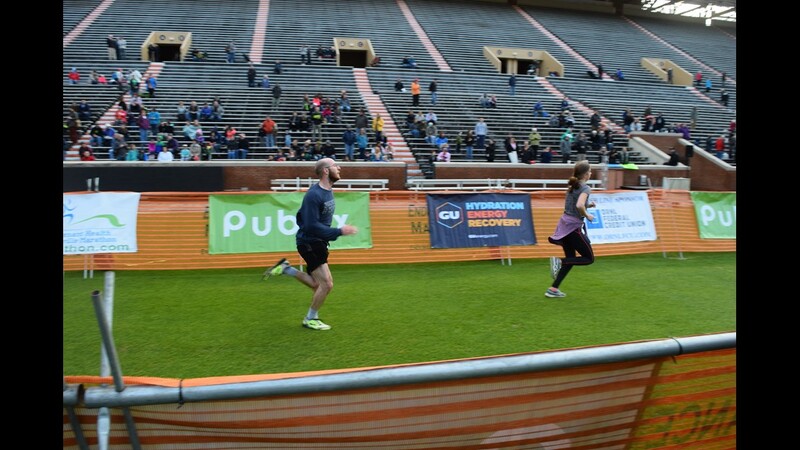 These training runs include pace groups and mileage options ranging from beginner to advanced.